Manufacturing strong, light, and maneuverable trailers for nearly 50 years, Cozad is a leader in the heavy-haul industry. Cozad trailers have been used by construction companies, the U.S. Military, the aerospace and transportation industries, and anywhere else where large loads need to be moved. One of the most durable Cozad products is the 80-ton capacity trailer with a deck and basket that can be extended from 36 feet to 70 feet. With proper engineering, this trailer is designed for use along highways and byways and will make the tight turns when necessary. NessCampbell engineers will plan the most efficient trip and our drivers are constantly trained on heavy haul best practices. 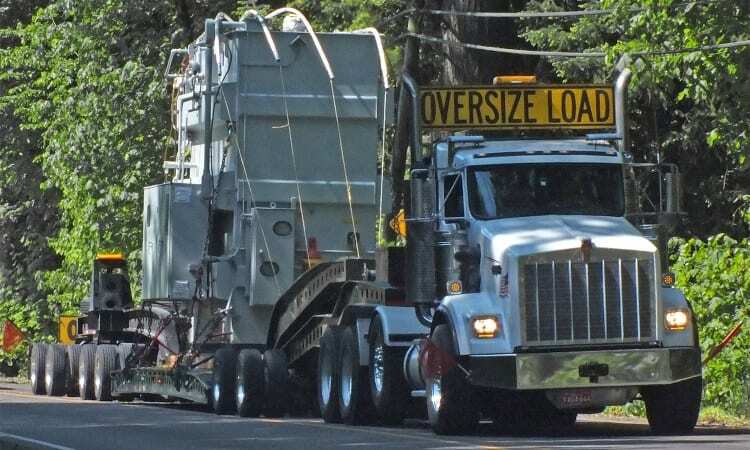 NessCampbell has been in the heavy-haul business for decades, and our capabilities, experience, and commitment to safety has made us the premier mover in the Pacific Northwest. We have low boy stretch trailers, 11-axle double drop trailers, and almost any other type of trailer your job needs, including Cozad trailers. Need to deliver parts for a wind farm, moving to a new industrial plant, or other heavy-hauling needs? Contact NessCampbell today. We have the trailers, the tractors, the prime movers, and the crews to make the move safely and on time.